A new racer game is available on Google Play, titled Kapsula, bringing with it fiery fast driving gameplay. 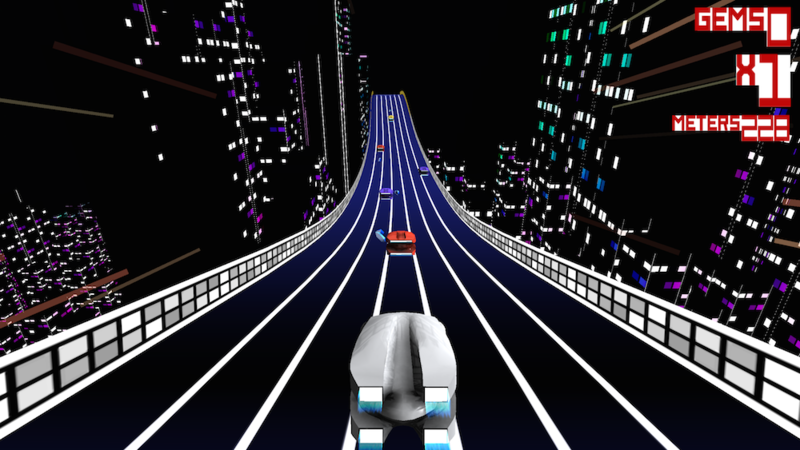 The game, however artistic it may seem, is apparently set it in retro-futuristic soviet space colonies, with little pods zooming down freeways at high speeds. As you make your way down a road, dodging traffic and collecting tokens to upgrade your pod, you can’t help but ride alongside other pods. Once you drive past one, it attaches to you, which you then must get off of you. You do this by crashing it into another pod of the same color, or by running into a wall of the same color, which is not easy by any means. On the difficulty scale, I would give it a solid 8-8.5 out of 10. The game brings other titles to mind, movies and games included. To me, its essence feels somewhat rooted in TRON, with hints of Impossible Road tied in. As the road twists and curves, your head almost feels forced to move along with it, dodging traffic and taking in the darkened cityscape. It’s a very enjoyable racing experience. The game is priced at just $0.99, with no IAPs. Go grab it immediately.